A man from Weston-super-Mare has been given a 14 week curfew order and ordered to pay a total of £1,600 in fines and costs after he admitted fly tipping waste in South Gloucestershire. Craig Purnell, 25, of Upton Monkton Avenue, Weston-super-Mare, appeared before North Avon Magistrates’ Court on Friday 16 September. He pleaded guilty to fly tipping and not having a Waste Transfer Note or a Registered Waste Carriers Licence and was handed a 14 week curfew order, requiring home detention from 7pm to 7am, which will last until 22 December. He was also ordered to pay costs of £1,440, compensation of £100, and a victim surcharge of £60. The court heard that having left his field in good order one evening, a South Gloucestershire farmer returned the following morning to find that a pile of waste had been dumped there. 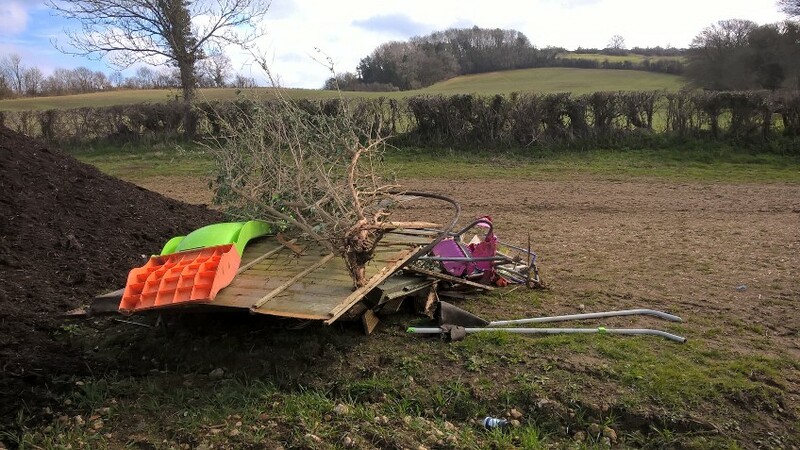 Household waste from an unknown source, including wooden fencing panels and children’s garden play furniture, had been tipped in to the field off Lansdown Lane, Upton Cheyney. A vehicle was caught on a neighbour’s CCTV as it drove up the country lane and then returned past empty. The vehicle’s details were checked and the registered keeper identified Purnell as the person in possession of the vehicle at the time of the fly tip.